When thinking of green desserts, what's the first thing that comes to mind? Key Lime Pie, right? I hope that's what you said, because that's what I'm sharing today. It's no secret that I absolutely love limes. I'll substitute lime juice for lemon nine times out of ten - I even put it in my water - and if there's ever a lime garnish going spare, you can be sure I'm going to ask for it (politely, of course). So it may come as a surprise that this is my first ever Key Lime Pie. This cool and creamy pie has been on my to-make list for years, but somehow I always assumed that it's velvety texture and rich, tangy flavor were the result of lots of hard work in the kitchen. This simple recipe proved me wonderfully wrong, and when I discovered that my prized pie could be mine for little more than a can of sweetened condensed milk and a few egg yolks, I had no excuse not to make it. This easy, breezy recipe turns out a pie that's rich, glossy, and full of the bright, spring-like flavor of lime. And the best part? A few minutes active time in the kitchen produces a dessert worthy of a whole Southern afternoon's worth of cooking. Preheat the oven to 325°F. In a large mixing bowl, whisk egg yolks and lime zest together until the yolks are slightly frothy and tinted green (this may take a few minutes). Stir in the sweetened condensed milk and lime juice until well combined. Set aside to thicken at room temperature (at least 20 minutes). Meanwhile, prepare your graham cracker crust and blind bake in the oven for about 8-10 minutes (15 for a homemade crust), until the crust is lightly browned. remove and allow to cool to room temperature. Pour the lime filling evenly into the completely cooled crust. Bake for 15 minutes or until the center is set but still 'jiggly' when shaken (yes, that's a precise, official cooking term). Remove from oven and allow to cool to room temperature. Refrigerate at least 3 hours before serving. Serve chilled. This sounds like a great refreshing dessert. Lovely pics too. 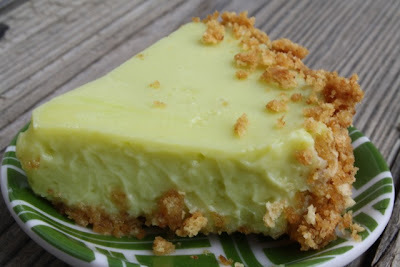 We LOVE key lime pie but I always assumed it was super difficult to make. Thanks for sharing an easy recipe! Yum! 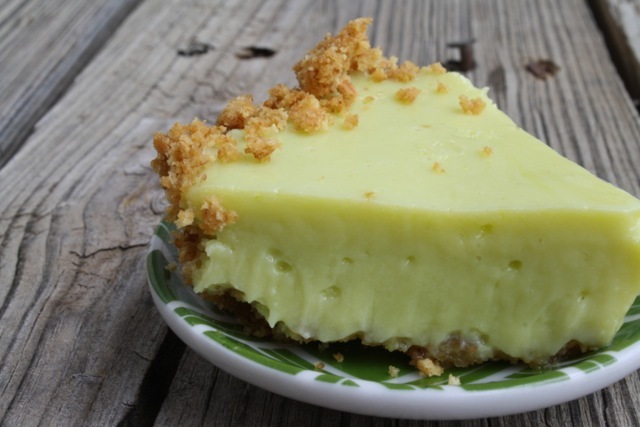 Key Lime pie is one of my favorites!! Would love to have you link this up to my "Homemade By You" party going on now! I'm with you on preferring limes over lemons!!! Your pie looks wonderful. My mother in law loves key lime pie. I never knew how to make it though. Thank you for sharing it at Whimsy Wednesday over at The NY Melrose Family. Ever since eating our first key lime pie on a trip to Miami last year, my guy has wanted me to make one for him. So, thank you, thank you for this recipe. Can't wait to try it. I've just become your newest follower. So, please, please come visit me and maybe you'll follow back. THANKS AGAIN. Beautiful Key Lime Pie, sounds delicious! Good recipe! It's the one I have used. 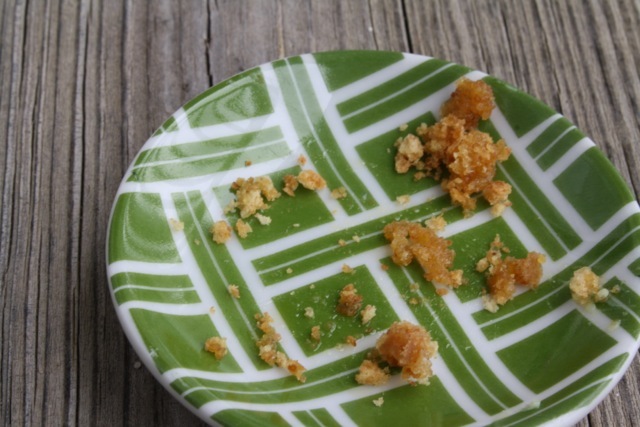 Sometime, try it with a toasted coconut crust. Incredible!!! My son makes one of the BEST key lime pies I have ever tasted. It's quite tart with a very rich and sweet crust and it's his secret recipe...one he developed after many a trial. During college and shortly after, he made these pies for many local restaurants. He will not share his recipe with me, but for any special occasion, he'll make one. The crust looks GREAT! I love key lime pie. Especially this time of year! Thanks so much for sharing at oopsey daisy! my husband saw your post and is drooling! Thanks for linking it to Scrumptious Sunday! Key lime pie is one of my favorite. The photo made my mouth water!! Now I'm going to have to make one!! Now those photos are making me hungry. 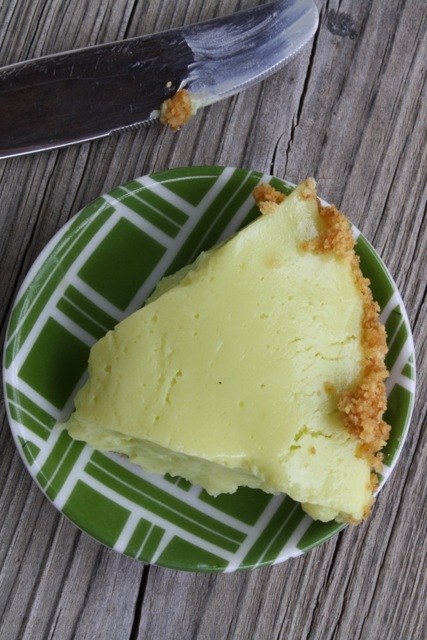 We love key lime pie to no end. Every chance we get we order them from Kutchie and Anita Pelaez's key lime pie factory. Yours look quite divine too. You think maybe we could try one someday?